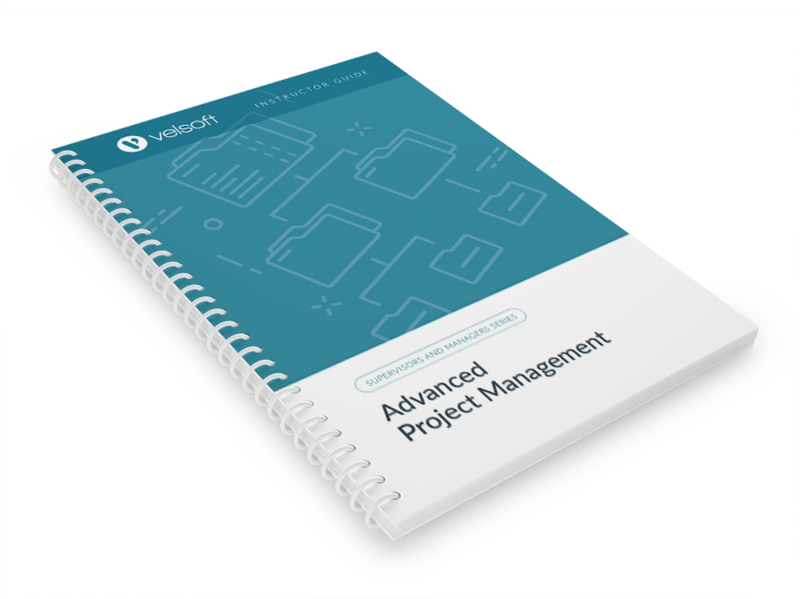 Advanced Project Management trainers provide participants with the critical final tools, skills and techniques that project members and emerging project managers need. 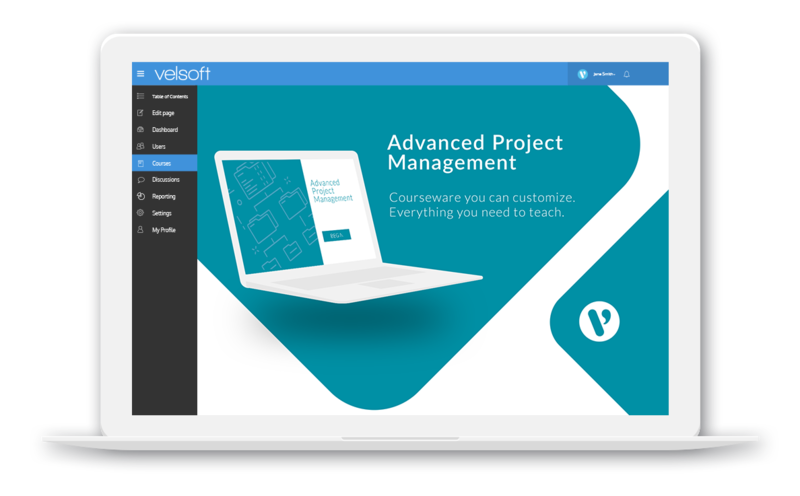 Participants should already have a thorough understanding of project management, including topics such as preparing a statement of work, setting project goals, scheduling, budgeting, managing project risks, and executing a project found in Velsoft’s Project Management Fundamentals and Intermediate Project Management training courses. Participants who have completed the three day intensive Project Management Training course to further develop their skills do not need Advanced Project Management, except as a refresher. Consider the skills development opportunity available to you if you customize this courseware to include an actual project that participants are working through in their jobs. Customizing this courseware to include projects that participants are working through in their real jobs will open a bevy of skill development opportunities that might not have been realistic otherwise. You can also add your logo, brand the package, and select the sessions that are most relevant to your students. Training materials include a comprehensive instructor’s guide, student workbook, pre-formatted slides, assessments, a quick reference guide, and more. 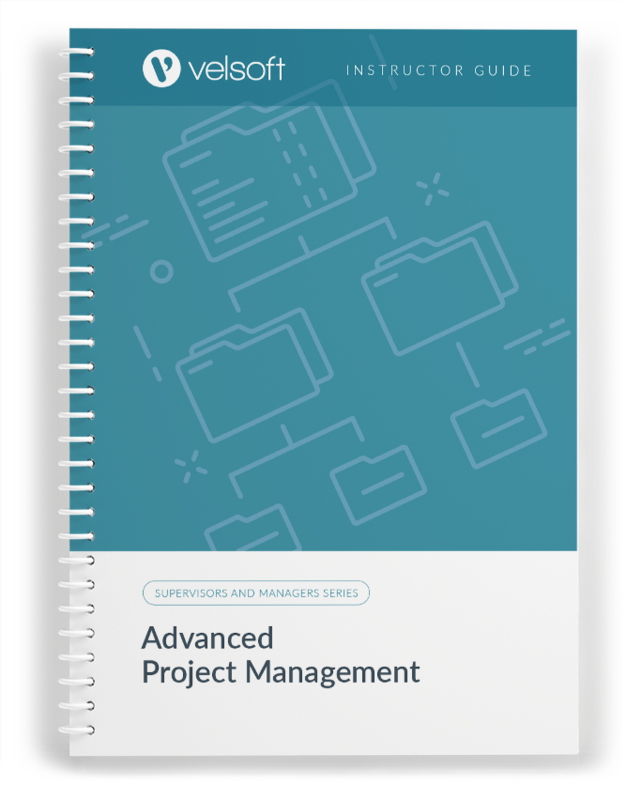 Advanced Project Management is one-day course that provides your students with a comprehensive overview of the knowledge and skills need to ensure the viability of businesses in today's world. The course material applies equally to product and service-based enterprises.